If you’ve ever thought about food waste, this thought has probably passed through your mind: Why do I even care? There are environmental, ethical and economic reasons why food matters. The environmental implications of food waste alone make it worth avoiding. A massive amount of resources–mostly oil and water–go into producing our food. When we don’t use roughly 40 percent of it, we’re squandering those embedded resources. In addition, when we send food to the landfill, its anaerobic rotting creates methane. That greenhouse gas is more than 20 times as potent at trapping heat as CO2. 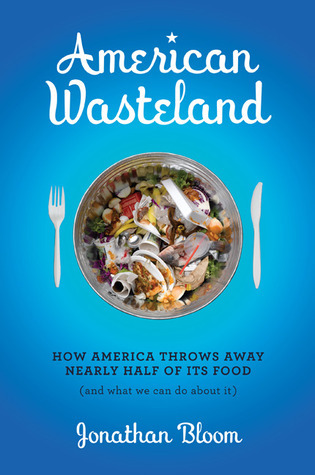 Given that and our staggering rate of waste, our food-filled landfills are steadily aiding climate change. Landfills are the number two source of human-related methane emissions. And while some landfills have systems in place to either destroy or harness its methane, they aren’t all that efficient. From an ethical standpoint, it’s pretty simple. When you consider that 15 percent of U.S. homes are food insecure, throwing away food is morally callous. And no, the food you leave on your plate isn’t going to feed anyone (here or in a developing nation). But that doesn’t mean you couldn’t donate excess food instead of preparing too much. Or buy less food–to reduce the amount you’ll discard–and pass the savings along to your local food bank. And finally, it doesn’t make much economic sense to throw away a good without using it. That holds true for individuals, families, institutions and government. Depending on spending habits, a family of four throws out between $1,300 and $2,200 a year. And on the whole, America squanders $160 billion annually. In both cases, it’s a waste of money that could better be spent elsewhere. To be fair, we’re never going to completely eliminate food waste. There will always be some stuff that slips between the cracks. But for all three of the above reasons, we should strive to reduce the waste we do create. Do you care enough to make an effort? This entry was posted in Energy, Environment, Hunger. Bookmark the permalink. Both comments and trackbacks are currently closed. We have been shifting our pantry over the past several months to be much more mindful of what we have. Rotating canned goods, and purchasing less at the grocery store. We also try to buy more from local sources, farmer’s markets, friends who have chickens, etc, and to plan our menus better so that we no longer have the endless leftovers that eventually get thrown out because everyone is sick of them. Great point showing people why they should care. We’ve come to live such comfortable lives and have taken food for granted that we don’t realize how precious it really is. Thanks for spreading the word. You’d think that because I’m an advocate for meal planning I would have been much more concious of food waste. Yes, I was planning the on the front side but really forgetting about the back side. Since I’ve read your book, I have become so much more conscious and am striving to better utilize the leftover ingredients we have in our fridge and pantry. And my friends and family are probably sick of me now spouting out statistics of food waste at family gatherings, when we’re out to eat, etc. But I’ll keep talking until they start making changes too. Thanks for all you hard work in researching this subject! I find this issue more complicated than you’re making it out to be. In all fairness, I’m on the low end of food waste, being known to scavenge past-its-date fruit for smoothies and baking. I will even cook lettuce if it’s gone a little wet. But I have a lot of advantages for me – first, I like almost everything, and can find ways to make anything edible. Second, I can do my shopping most any day of the week, so I can always wait until my food stores are extremely low to replenish. Third, I don’t have picky kids or an unreliable job that may force me on 12 hour days at a whim. I also compost and recycle, so about the only things I don’t do are 1. make my own stock or 2. feed animals with my leftovers. But, I don’t see it as a moral or environmental issue. In early April, there was a cheap sale, and I bought 2 lbs of zucchini and 2lbs of yellow squash – more than I’d buy in the summer, but it’s the first of the cheap vegetables and they’re hardy enough to last 2 weeks in the frig and… If some of it goes bad because I over-bought, so what? From my perspective, I’d rather have 4 pounds on hand so that I (and the 2 others in my household) eat 3.5 pounds, rather than buying 2 pounds and eating 2 pounds. the monetary loss is worth the health gain, by a long shot. It’s the reverse of the “large potato chip bag” problem, where you eat more from a large bag than a small one. And it’s not just vegetables, I’d rather have an extra frozen meal handy because it saves me time and calories compared to eating in a restaurant. Or that extra can of tuna or sardines. That’s me operating as one person, but on a larger scale, that’s every grocery store, every restaurant, heck it’s every mulberry tree that leaves the ground littered with uneaten fruit. RG, I appreciate your raising the level of dialogue with your probing question. Most of the people who disagree don’t bother writing such a well thought out response. 1. As you recognize, it seems that you’re on the low-end of the scale in terms of wasting food. My goal is to get the average American to waste as little food as you seem to do. This piece was meant as a primer for those who ask the question ‘so what? while simultaneously wasting a fair amount of food. It doesn’t sound like you’re in that category. Nice work! 2. By composting, you’re mitigating the methane impact. Yet, the more harmful environmental impact comes from squandering the resources embedded in your food. You may say that having extra food around (healthy stuff at that) is a ‘cost of doing business.’ As you say, you’re lucky enough to be in the position to willingly take a financial loss for a health gain. And it’s hard to argue against eating more vegetables. There’s a happy medium here, where you’re not losing too much money or food. It’s up to you to decide where that medium lies. My focus is prompting everyone to waste as little as possible. Would it be possible to give that last half pound of squash to a neighbor? Make a soup? Freeze it to use later? We won’t eliminate food waste. To do so would mean having too little food on hand. 3. As for the ethical angle, I did give the simplified version here (for the benefit of this overview post). But I can’t agree that there’s anything justifiable about how much we waste when 50 million Americans are food insecure. Thanks again for the thought-provoking response. Anyone else have any feedback on this?